The Meeting was the actual launching of the Expert Facility activity “Technical assistance for the sustainability and replication of Lake Bizerte governance process” (EFH-TN-5) aiming to assess the Bizerte Charter implementation process and to reinvigorate the commitment of the various stakeholders in support of the Charter and the sustainable management of Lake Bizerte and Lake Ichkeul basin by enhancing the synergies among the different competent bodies and initiatives of the various actors and partners. 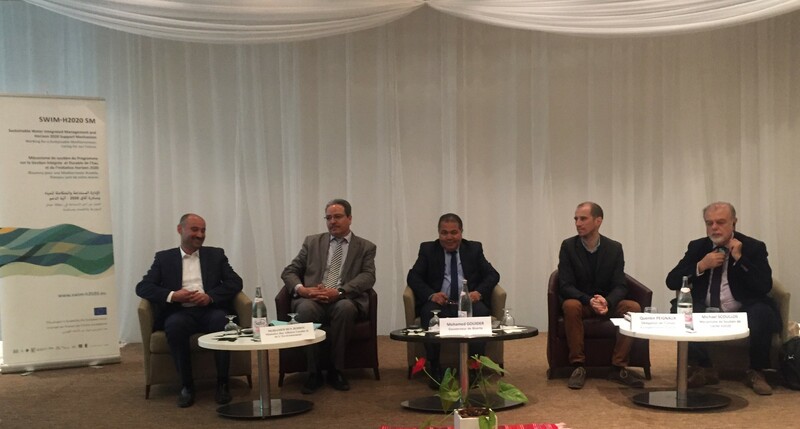 The meeting was attended by the Governor of Bizerte Mr. Mohamed Gouider, High Officials from the Ministry of Local Affairs and the Environment, other Ministries, the EU Delegation, the EIB and more than 90 participants from various socioeconomic sectors. Despite the progress observed in solid waste management, atmospheric emissions, reuse of water, as well as the land use changes there is a great delay in the actual financing of the Lake Bizerte Project by the EIB and other European donors. The importance of the Charter was emphasized as it provides the framework for many initiatives and projects to be undertaken by various stakeholders. It was agreed that a systematic listing of all the activities foreseen will be followed by a comparison with the needs described and the directions included in the Charter. The programmed and necessary new interventions will constitute the activities of the Action Plan for the Sustainable Development of the Region.